The aim of the passive house concept is to construct a house that comes as close as possible to heating and cooling itself in a passive manner, thus removing the need for a conventional heating/cooling system such as a boiler/air conditioner or geothermal heat pump. All a passive house should require is a small back up heat source which may be required in very cold weather. This represents a massive energy saving when you consider that anything up to 70% of a typical homes energy requirement will be spent on space heating alone. on a 100 m2 house, a Passive House will have an annual heating bill of €100-200. This corresponds to a 75-80% saving on what you would expect to pay for heating a typical new home built to current building regulationsSuch enormous energy savings are achieved through two main principles of Passive House design; super insulation of the building fabric to minimize heat loss, and optimizing free heat gains through passive solar techniques and optimal orientation of the house as a whole. Click here for a Q&A with Declan Noonan of Declan Noona & Associates on Passive House Design and Passivhaus Standards. Why use Declan Noonan & Associates to design, detail, supervise and even build your passive house? We have the building techniques and experience to convert the principles of passive house design and construction into Irish building techniques and methods. We have the experience in building detailing to ensure that all critical building elements are fit for purpose to withstand the Irish elements whilst at the same time meeting the passive house requirements and representing cost efficiency in the building detailing. We are fully certified and experienced to bring your ideas on energy efficiency and sustainable living to realisation. Our talents in design will make sure there are few compromises in the design and still be true to principles of passive house design. One of the main criticism of our competitors is that their main and central focus is on meeting the criteria and not on creating a living space that meets your life time requirements. They simply do not have the confidence to explore alternative design elements that equally meet the criteria. In Ireland the easy answer is to buy a passive house design online. 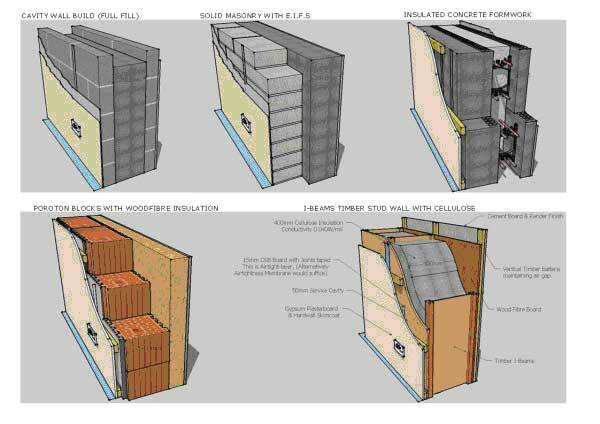 These are off the shelf designs, created purely to meet passive house criteria. They have no relationship to you, your site and it’s location or your needs and wants. If you want a passive house, that is more than just an energy saving shell, but an attractive, bespoke, sustainable home that fits in with its surroundings, we at Declan Noonan & Associates would be delighted to work with you. Our architect is an accredited and certified Passive House Designer with the Passive House Institute. The Passive House Institute is an independent research institute and has played a crucial role in the development of the Passive House concept. The institute now assumes the leading position with regard to research on and development of construction concepts, building components, planning tools and quality assurance for especially energy efficient buildings. Contact Declan Noonan & Associates for more information on Passive House design. 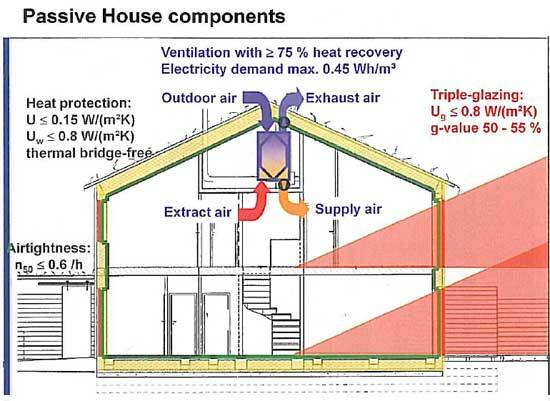 The Passive House design is based on five key principles. Super-insulation is aided by a design that minimises “thermal bridging” – essentially keeping the insulation as continuous as possible, like wrapping the house in a tea cosy. Even heat from cooking, lighting and bodies is efficiently retained within the building. Triple-glazed windows and stringent airtightness also prevent heat escaping, while houses are built with the largest windows facing south, in order to optimise solar gain. Finally, a mechanical ventilation system provides fresh air and recovers heat from the air that is extracted. Click here for more information on our air tightness testing. One of the common misunderstandings of a Passive House is that one needs to keep the windows closed at all times? During warm periods, opening your windows is the easiest, cheapest, most effective and environmentally friendly way of cooling your building, with cross ventilation offering the most effective solution. The standard air exchange provided by Passive House ventilation systems is far lower, and with the fan giving off additional heat, the cooling effect is reduced even more. The air change rates of ventilation systems are typically laid out for cold periods and may not be too high to keep the air from getting too dry. A completely different type of ventilation system would be needed to allow for significantly higher air change rates. Such systems would be more expensive and less efficient. Providing large volumes of air by opening your windows, on the other hand, is fairly inexpensive. Users typically expect to have openable windows anyway as they offer maximum flexibility. Most users would not want to miss windows as a “connection to the outside world”, and want to be able to choose whether to keep the windows open or closed. Eliminating this option might cause discontent amongst users whose wishes should be respected – unless it would be unreasonable to do so (for example in a submarine or a spaceship). Cleaning fixed glazing is usually much more difficult than cleaning windows that can be opened and cleaned from the inside. Openable windows thus make a building much easier to maintain and can help reduce running costs. Monitoring results suggest that there is little risk of Passive Houses not getting warm or requiring significantly more energy for heating due to users keeping the windows open. There is no need to fear that « human errors » might cause problems, even when bedroom windows are tilted all night long during winter. In this case, the only negative effect is a slight increase in heating energy. Even during cold periods, it may be nice to be able to open the windows to let in some fresh air, for example during a party or an assembly. Last but not least, an openable window could save one’s life as it offers an easy way out in the unfortunate event of an emergency. There are few Passive House buildings partially or entirely fitted with fixed glazing. Most reports or enquiries regarding these building concern complaints about excessive temperatures in summer or users feeling closed in – something that can be prevented with a turn and tilt fitting. Based on these reasons and experiences, providing at least one openable window per room used for living is a prerequisite for Passive House buildings to be eligible for certification. The economics of a Passive House Passive House materials can be considered expensive to purchase. Will they really save me money in the long run? 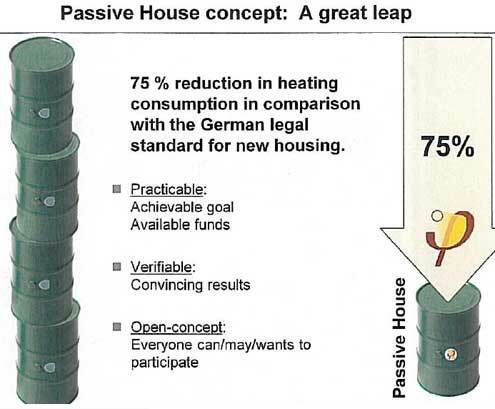 Everything to do with a Passive house can be calculated and quantified to allow people see the actual savings. The economics of a Passive House is clear to see by following a certain set of formulas and criteria. 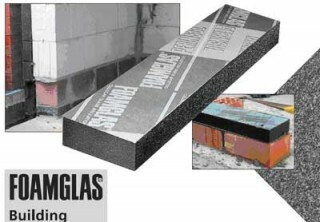 For example, these foamglas blocks are ideal for preventing heat loss down through the blockwork of a building. By appropriately placing a Foamglas block this heat loss was be eliminated. But these blocks are €11 +VAT each. Can this cost be justified? You will save €1930.87 on energy costs by putting one foamglas block in. Does this mean it costs more not to put them in? YES Passive House is a sustainable way of living, although taking a long term view can sometimes be difficult. Here is another way of comparing: What if the property owner receives a loan from the bank to cover the investment cost, we will say at an interest rate of 3.0 %. and even a rate of inflation is 1 %. So what is the annual repayments and compare to annual savings. If you don’t put in this thermal break block, it will cost you 8.03€ more on energy costs than if you did (including the investment costs). The maths here looks good but it is always a tough decision to make. However, it’s not just about energy savings. There is now no risk of mould, the temperature at the point around the perimeter is almost 4 degrees greater with this block. So much higher level of comfort. There are many different external wall specifications that can be used to achieve the passive standard and the above diagram illustrates the most commonly used types. 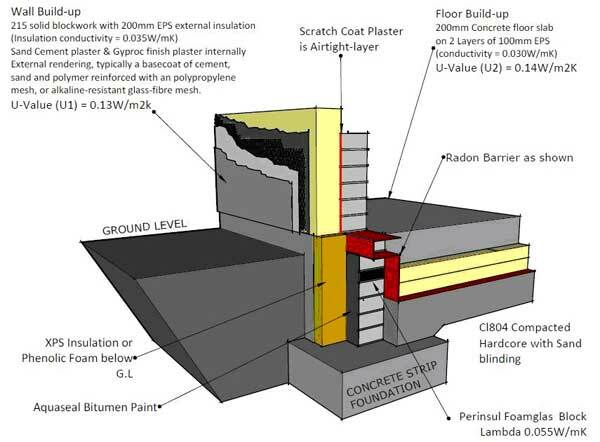 This diagram illustrates out preferred foundation and wall makeup to meet the passive standards that we feel is the best fit for the Irish climate and Irish building contractor.